Outdoor garden area is a huge space to be rebuild as more suitable for family entertainment area. 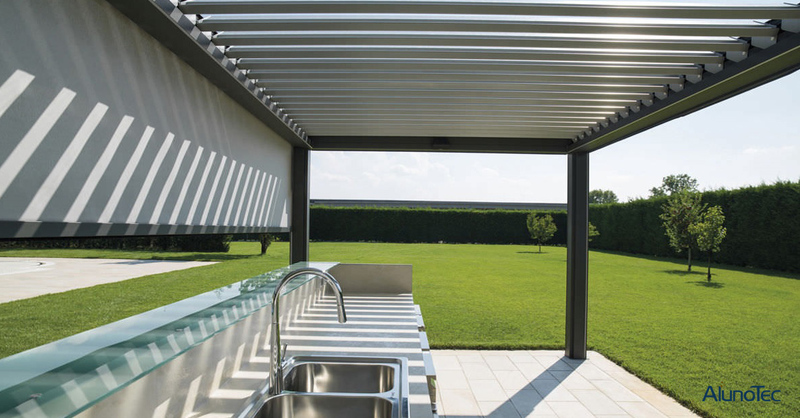 Aluminum pergola with adjustable blade and rainproof / sunlight proof to offer a flexible space for owner. Aluminum gazebo pergola also suit to fix side screen to keep a personal space. No matter on the roof or side part, all more humanize to service people. Near the swimming pool, villa backyard, commercial center, all kind of surrounding are acceptable. To present a better comfortable space.